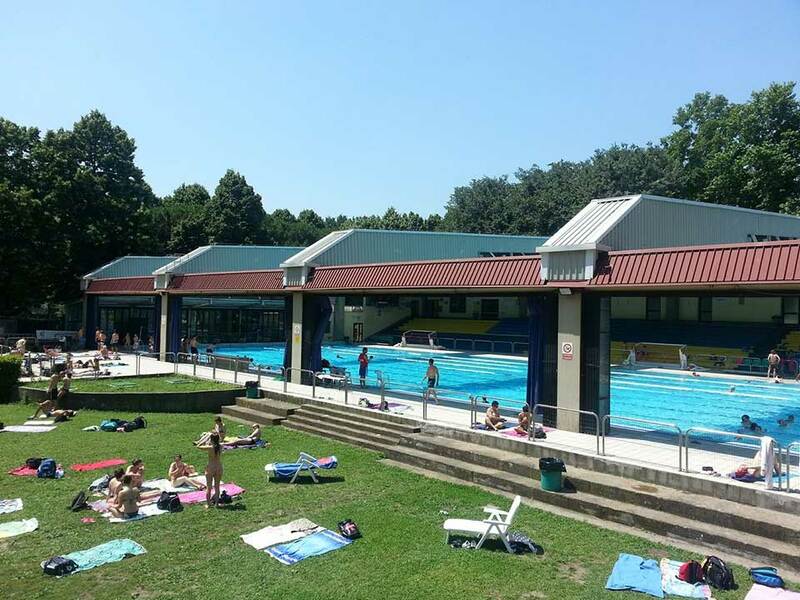 July and August are the hottest months in Florence, but there are various pools in the city where you can cool off, work on your tan and enjoy the summer. They can all be reached easily by public transportation. To protect yourself from the heat remember to drink lots of water, eat fresh fruits and vegetables, use sunscreen, wear a hat and avoid physical activity during the hottest hours of the day. 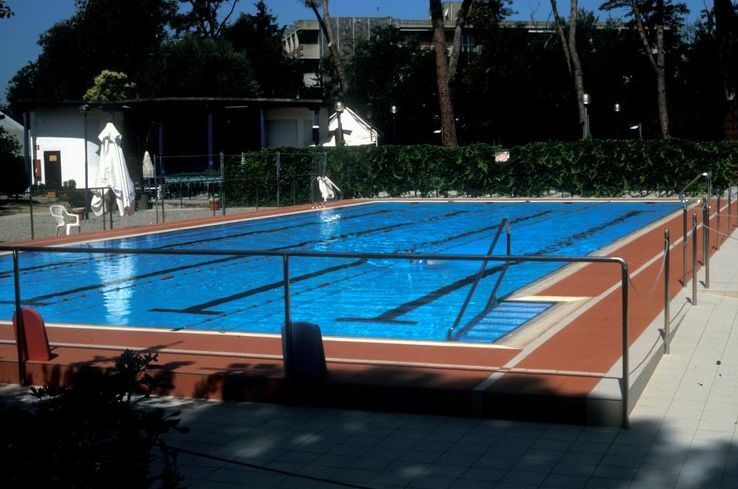 Bellariva in the center of Florence has three different pools, including an Olympic pool of 50mt and a children’s pool. It is located in a vast park of 3.5 ha and includes a restaurant and bar. Adults weekdays 7€, weekend 8€, children 5€, children under six years old free entrance. Swimming pool Costoli in the quarter of Campo di Marte close to the stadium consists of 2 pools, an Olympic pool of 50 mt and a diving pool of 25 mt with a depth of 4.5 mt. A vast green lawn surrounds the pools that also offers shade. There is a bar for refreshing drinks and snacks. How to get there: Bus 17 from the station towards “Verga”, stop Mille 09. Costs: 8€, family packages available, children between 6 and 14 years old 5,50€, children under 6 years free entrance. 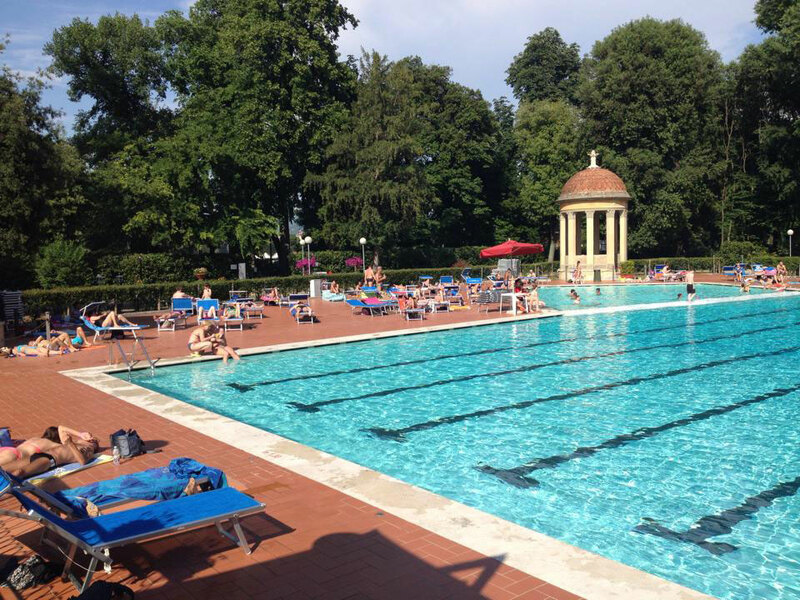 Le Pavoniere swimming pool is located inside the largest park of Florence Le Cascine. The pool, with a children’s area, is surrounded by many trees where you can find shade. The bar with terras offers a variety of snacks, panini and lunch dishes. There is also a restaurant. How to get there: Tramvia stop Cascine. Weekdays Adults 8€, children 4 to 12 years 6€. Weekends Adults 10€, children 4 to 12 years 8€. 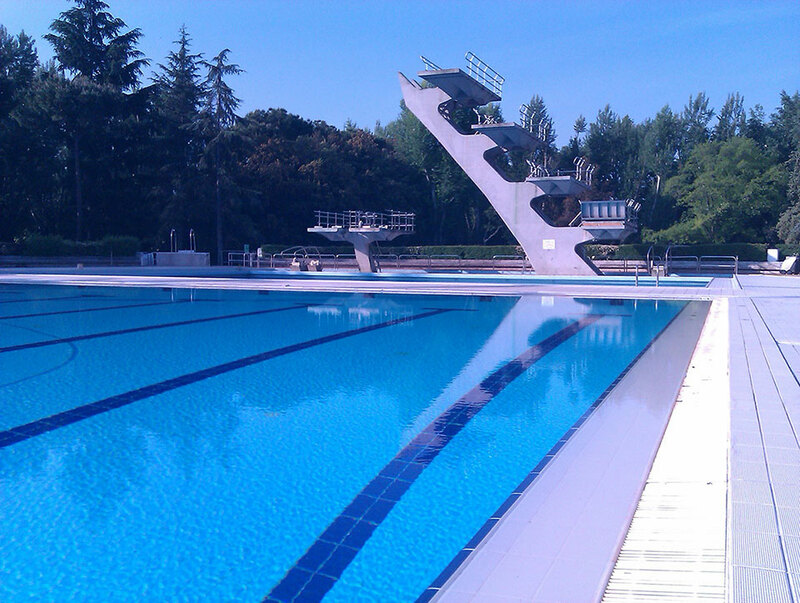 The recently renovated swimming pool Poggetto is located on a hill close to the center of Florence. Besides a large pool, it also offers a pizzeria and open air cinema. Costs: Adults 7,50€, children between 3 and 12 years old 7€, children under 3 years free entrance. 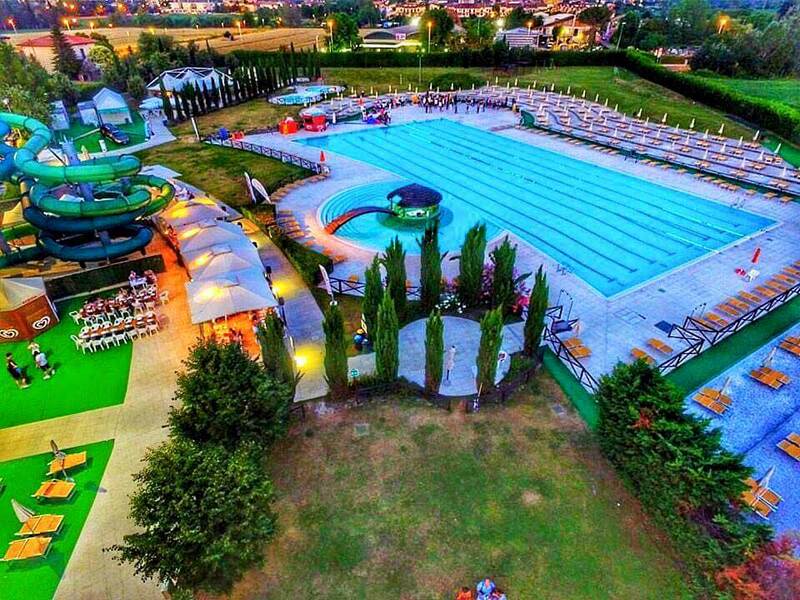 Acqua Park Hidron, just outside Florence in Campi Bisenzio, offers various swimming pools, hydro massage and children’s area. Furthermore, there is a fitness area, wellness, bar, restaurant, shops, and hairdresser. Costs: Adult 15€, children between 3 and 13 years old 10.50€, family day packages available.